That scene in the bathroom where Allison realizes she’s goosed and asks for a minute alone is pretty visceral. Allison doesn’t seem like an inherently evil person but she made a mistake and paid for it because other spies are also pretty damn good. I think that’s an understated theme of this season as well: foreign spies can be just as/if not more effective than their US counterparts. In short, we don’t always win. Even though I haven’t felt much sympathy for Allison this season, once I realized that she was definitely one of the bad guys. Once I discovered that it was not by choice I almost felt sorry for her. Keyword: almost. At the end of the day Allison made her bed and must lie in it. Yet she was like many people, weak at the thought of riches and a handsome man that loved her. Do I blame her for falling for the bait? Yes and no. Yet Allison is the one villain that I hope does not get a deadly end. I mentioned this on Marilyn’s blog– but I definitely liked that Allison was given a backstory that made her more complex than simply a cold-blooded killer. She seemed caught in a very difficult situation. I also will say (again,) that the Banana Joe’s thing was a bit ridiculous. I am interested to see how this all plays out. 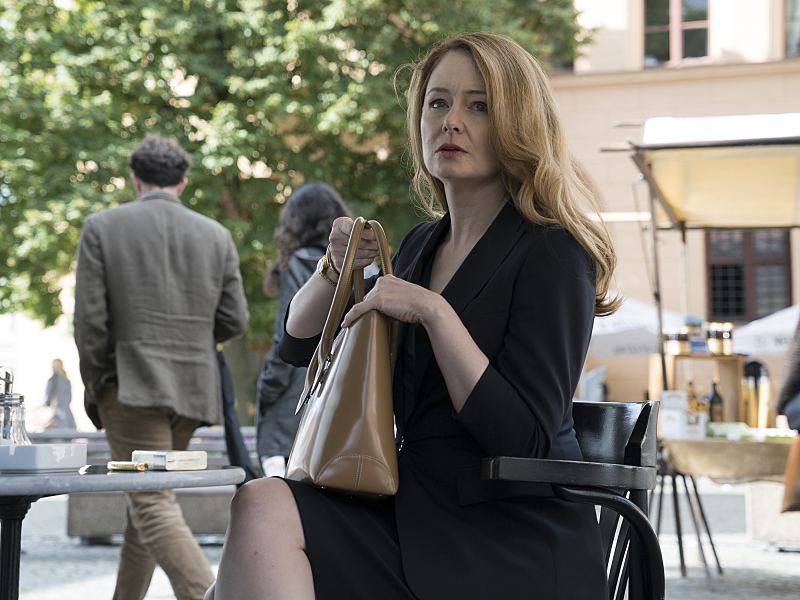 I think Miranda Otto is a great actress- and it’s nice to see other interesting female characters like Allison and Astrid, who have compelling characterization and add to the world of Homeland. I’m not as sold on the Allison backstory. I feel the flashback scenes with Carrie felt forced, that the “past” felt more like people putting on a show (costuming and makeup didn’t convince me), and her motivations were not really great motivations to begin with. It actually didn’t make me feel sorry for her, it just made me feel like she wasn’t a great spy, having been duped by a bumbling, good looking spy with a briefcase full of cash. Hasn’t she seen any spy movies – briefcases full of cash are a bad sign! Although Saul has been something of a miserable jerk for several episodes in this season, I kind of felt more sorry for him than I ever could for Allison. 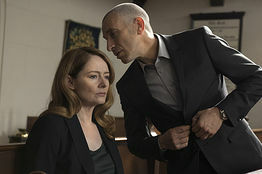 I think that she gets close to Saul only to try and sway him away from figuring out her secret (or to know more intimately what he is discussing with Dar Adal). I definitely did not read Saul and Allison’s interaction as an emotional connection, but rather, a contrived connection (on the part of Allison). I wonder if the show-runners meant for this to be reminiscent of the Carrie/Brody connection, only Allison is less successful in leveraging her sexuality/emotions than Carrie. I agree with Marilyn about Allison and Saul. Before we knew about her backstory, I assumed it was a genuine (though maybe shallow or temporary) attraction. Now though, I feel bad for Saul as I think she has been playing him to gain his trust. It was also funny how, after all of the hacking and focus on computers and whatnot, a quick google search was all that was needed to find the answer to this particular puzzle. Additionally, after a quick google search of my own, I have been disappointed to discover that Banana Joe’s is not a real bar in St. Lucia. I think that manic quality to Allison that you noted at the beginning was expressed in the shots where she seems to want to bail on the killing of Carrie–particularly at the cafe with the sniper. Is Alison’s fatal flaw that she’s just not ruthless enough? Does she have any feelings for Saul? What exactly does she feel about Ivan? All mysterious questions but we do know that her romantic ideal is sitting in a beach bar in St. Lucia–a softness that Carrie doesn’t share.